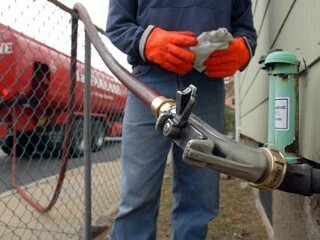 Home heating oil is pumped into a home in New England. Home heating costs are expected to drop this winter, according to new government estimates. According to newly-released government estimates, Americans should enjoy a decrease in home heating costs this winter.Â The average home heating bill should total around $960 – a decrease of approximately eight percent over last year. The combination of lower oil prices and a forecast of a slightly milder winter have combined for the favorable forecast, according to government forecasters. The largest expenditure decreases are in households using natural gas and propane, projected at 12 and 14 percent, respectively.Â Projected electricity and heating oil expenditures decline by 2 percent. 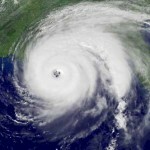 The National Oceanic and Atmospheric Administration compiles long-term seasonal forecasts several times each year.Â Frequently, one of their most viewed products is the winter forecast.Â In estimating the impact of winter weather on residents of the United States, NOAA compiles a statistic known as “heating degree days”.Â This statistic quantifies the impact of weather on heating costs.Â The most recent projection of heating degree-days, the Lower-48 States are forecast to be 1 percent warmer this winter compared with last winter and 1 percent milder than the 30-year average (1971-2000). However, heating degree-day projections vary widely between regions.Â For example, the Midwest, a major market for propane and natural gas, is projected to be about 4 percent warmer than last winter, while the West is projected to be about 4 percent colder. The new government report also indicates the price of West Texas Intermediate (WTI) crude oil should average about $70 per barrel this winter (October-March), a $19 increase over last winter.Â The forecast for average WTI prices rises gradually to about $75 per barrel by December 2010 as U.S. and world economic conditions improve. As always, both the long-term weather forecasts and energy markets contain a fair amount of uncertainty.Â The El Nino (warming of the Pacific Ocean surface waters) may complicate the weather forecast.Â Further, while energy prices have fluctuated, the US is expected to start the winter season with the highest natural gas reserves on record.Â This may soften the impact of any sudden upticks in oil prices. For more information on the government outlook, see the Energy Information Administration’s Short Term Energy and Winter Fuels Outlook report.